The traditional tea of Southern South America, Maté is brewed from the leaves and stem of the Ilex paraguariensis tree. Unlike other teas, the leaves and stem are exposed to flames (sapeco in Portuguese) immediately after harvesting. This is to quickly lessen the moisture but seal in the abundant vitamins (A, B, C, and E), minerals (magnesium, iron, calcium, riboflavin, niacin) and polyphenols. The leaves then undergo a second drying step but remain green due to the sapeco flame drying action. After the sapeco and drying, the green mate is finely cut and put into unbleached teabags. 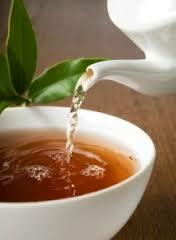 Its taste is often described as green, grassy and herbaceous, with a slightly smoky flavour, and not unlike green tea. Six Benefits of Yerba Mate Tea. PLEASE NOTE: NO CLAIMS ARE MADE OR IMPLIED THAT Yerba Mate OR ANY OTHER PRODUCT ON OUR WEB SITE CAN DIAGNOSE, CURE, MITIGATE, TREAT OR PREVENT CANCER OR ANY OTHER DISEASE. ALL INFORMATION IS PRESENTED FOR YOUR INFORMATION ONLY AND NOT MEANT TO BE MEDICAL ADVICE. 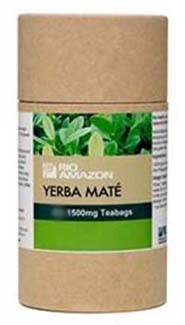 WE DO NOT PRESENT Yerba Mate AS A DRUG.